Basecamp Explorer Kenya is part of the Basecamp Group – a tourism company that operates a collection of destinations across the globe in a responsible, enlightened way. Svein Wilhelmsen founded Basecamp Explorer in 1998, following a life-changing meeting with an old Maasai, Chief Ole Taek. Around the fireplace one evening the respected Maasai elder told a worrying tale about the threats facing his people. 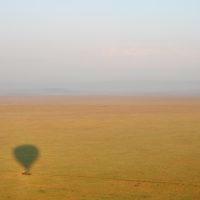 In Kenya we operate three camps: Basecamp Masai Mara, Eagle View Mara Naboisho and Wilderness Camp Mara Naboisho. Our journey started with Basecamp Masai Mara, a Gold Rated Eco Camp situated on the banks of the Talek River, bordering the world famous Maasai Mara National Reserve. As a tribute to the man who inspired the founding of Basecamp, the camp is situated on land owned by Taek family, descendants of Chief Ole Taek. From the very beginning our uppermost priority has been to sustain a close relationship with the Maasai people and to help them preserve their culture under increasing pressure from the modern world. Recognizing the vital importance of land, Basecamp co-operated with the Maasai community in establishing Naboisho Conservancy, a community-owned nature conservancy within which our two other camps are located. Our long history of close co-operation with the Maasai community distinguishes Basecamp from other tourism operators in the Maasai Mara. Our mutual bond paid off in 2010, when we successfully established the community-owned nature conservancy, Naboisho Conservancy. The Conservancy is named after the Maasai expression for ‘coming together’, chosen by the Maasai to epitomize how the Maasai community came together to face the alarming issue of decreasing land. By establishing a community-owned nature conservancy Basecamp provided the Maasai with an alternative to selling their land to outsiders, and helped protect vital wildlife territory. Naboisho Conservancy consists of 50,000 acers of pristine wildlife area. The conservancy borders the Maasai Mara National Reserve to the north, thereby protecting land necessary for the future survival of the Maasai Mara ecosystem. Besides supporting the ecosystem Naboisho provides more than 500 Maasai families with a monthly income, creating unprecedented economic stability. 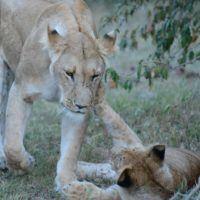 Basecamp operates two camps within Naboisho Conservancy: Eagle View and Wilderness Camp. Our not-for-profit partner organization, Basecamp Explorer Foundation, facilitates and administrates numerous community projects in the Maasai Mara region. Over the last 20 years we have upgraded local primary schools, drilled boreholes and built medical clinics, as well as instigating numerous projects to empower and educate the Maasai community. Based on our holistic approach we want to ensure that community development happens in a responsible, informed way, without compromising our commitment to sustainable natural resource management or the protection of wildlife. We believe that every traveller is a potential philanthropist. To enrich their journey, we bring our guests into close contact with our Maasai friends. Our aim is to create moments of honest, uninhibited interaction, to the mutual benefit of both traveller and tribe. During your visit you will be able to visit our community projects and learn more about the work we are doing. We believe that a journey is not about transportation, nor is it about reaching the destination. Rather, it is the journey itself that matters. We believe that a journey should be a transformative experience. Based on this philosophy Basecamp Explorer aims to create unique, authentic experiences in some of the world’s most exquisite places. With Basecamp you will encounter nature, wildlife, and people in an honest, uninhibited, and enthusiastic way.